There is one Eternal Truth when it comes to caring for parrots; and that is we are forced to continuously be In the Moment. While I do not like to put "labels" on anything, especially, when it comes to my self, if I had to label myself, I suppose I would say I am a Taoist. Not tied to any particular rigid belief, constantly living each day as wu wei (Chinese for "non-doing") as much as possible (a daily practice of effortless action). Put simply, just going with the flow. Letting situations unfold in front of me and practicing the art of not reacting, but rather being like water (as Bruce Lee always said). Water doesn't break through obstacles, rather it moves through, over, around, and beneath...Effortlessly. The path of least resistance is always the ideal path. Yes, I stick to loose routines (which is essential for a well-balanced parrot). 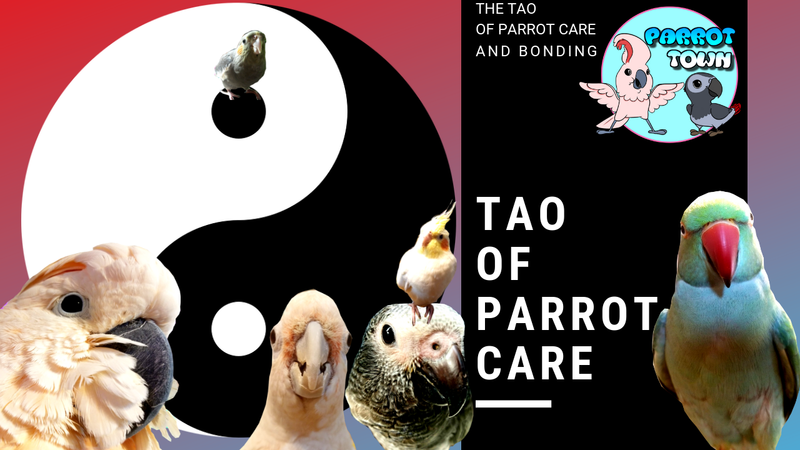 How does living a Taoist path relate to living a life with parrots? Simple, parrots are the Ultimate Taoists. They live in the now and are authentic to who they are at all times while keeping in perfect balance with the Tao (the way)/life energy around them. However, you don't have to be a Taoist to achieve Zen with your parrots. 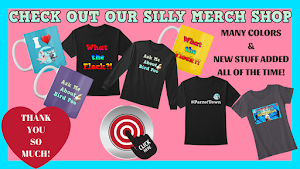 In short, my flock of parrots are my Spiritual Teachers—they show me the Tao, and I listen. 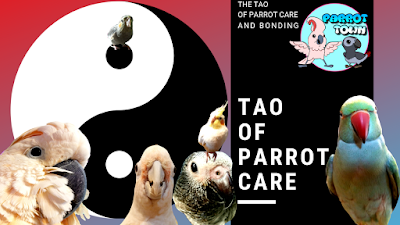 The Tao of Parrot Care, The Tao of You. Please excuse Benny's (my Indian Ringneck) trimmed wings; there were a handful of times where he has attempted to kill my little special needs cockatiel Augie and I needed to trim him down for a bit to control the situation. I don't keep my birds "caged" (only at bed time or if I have to occasionally leave the house). His flight feathers are slowly growing back and I am working to create a more harmonious situation where Benny and Augie can safely coexist. I'm hoping I will not have to trim him like this in the future. It's probably not necessary to make this note to you, but I felt it was important to share.